From this we can see that the CTO is saying that the company is looking at ways to further expand Bitcoin payments to other services and products. What method will the Newspaper use? In order to allow easy Bitcoin payment, the Chicago Sun Times is working with Coinbase, a popular online trading platform for Bitcoin based in the United States. 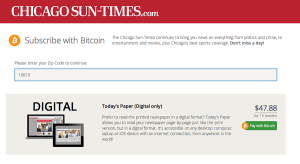 To make their payment, all that the users and subscribers need to do is simply log onto bitcoin.suntimes.com. 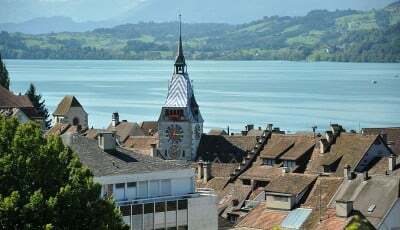 It is interesting to know that more businesses and companies are accepting Bitcoin even if there are places in the world where the stance for the digital currency holds a lot of ambiguity. In addition, it is good to know that Bitcoin is holding on strong even after the implications from Chinese media sources. These sources said that the Chinese Central Bank is aiming to greatly limit Bitcoin services in China. However, seeing as how Bitcoin is still here shows that Bitcoin may be more resilient than some people initially thought.